During this year’s Salone del Mobile in Milan, we worked with Disegno and the British Council to host a series of talks about the future of European design at Atelier Clerici. Each talk explored a different aspect of design: education, policy and industry. The talks were moderated by Oli Stratford, editor-in-chief of Disegno; Joseph Grima, founder of architecture and research studio Space Caviar; and Johanna Agerman Ross, founding editor of Disegno and now curator of twentieth century and contemporary furniture and product design at the V&A. 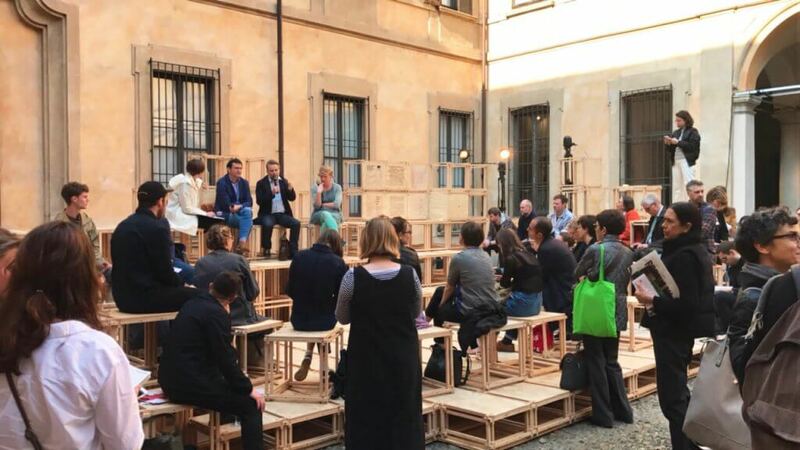 The talk series was held in the courtyard of Atelier Clerici in central Milan. The courtyard housed an open-stage installation designed by the Open Design School in collaboration with Matera 2019.